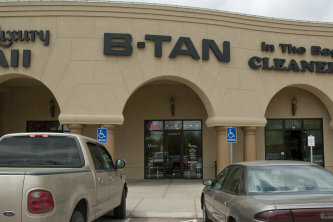 First and foremost, THANK YOU for choosing B-Tan Tanning Co. as your tanning salon. We are confident that you will find the certification and customer service of our staff invaluable as you continue to tan with us. B-Tan Tanning Co. is dedicated to educating our indoor tanning customers we serve on reaching a "Smart Tan" with moderate indoor tanning to maximize the benefits of UV light while minimizing the risk of to much or to little sun light. UVA and UVB waves have specific roles in the tanning process, which are determined by their effects on the skin. Melanin oxidizes and darkens the skin as it absorbs UV light. UVB stimulates the melanin and UVA oxidizes the skin to cause the brown, tan effect.